The Mhadei Research Center has achieved great strides in discovering and documenting the hidden ecological treasures and wildlife of parts of Goa that come under the Western Ghats region. The Center evolved out of the setting up of the eco-lodge Wildernest in Chorla Ghat. Wildernest is the product of Capt Nitin Dhond (Merchant Navy) and ecologist Nirmal Kulkarni’s efforts to painstakingly regenerate and renew the denuded flora, leading to the creation of the 450-acre private sanctuary called Swapnagandha Valley. The eco-lodge, with its standing as a superlative model of eco-tourism and its functionality as a conservancy project, motivated Nirmal, who is on the board of directors of Wildernest Nature Resort, to establish the Mhadei Research Center. The Center is the first of its kind field-based research centre located in the Northern Western Ghats of India. The Mhadei Research Center is situated in the Mhadei bio-region, a biodiversity hotspot of staggering proportions. This area connects the forests of Karnataka with Goa and Maharashtra, covering approximately 700 square kilometres. The Mhadei Wildlife Sanctuary of Goa, the Bhimgad Wildlife Sanctuary of Karnataka and reserved forests of Maharashtra are all part of this bio-region. Aside from receiving the recognition of Important Bird Area by Birdlife International for the documentation and protection of the nesting sites of the endangered long-billed vultures by Nirmal and his team, the bio-region is home to large mammals endemic to the forests of Karnataka, Maharashtra and Goa. The research centre’s objective to record data that will prove beneficial to other scientists has met with great success and in the process has embraced the natives of this place, inspiring in them a renewed love of their environment and creating that all important connection between the academics and the locals which is bound to benefit research processes. 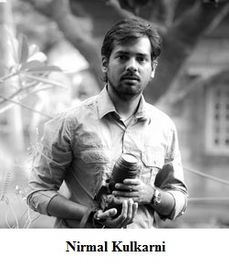 The discoveries of flora and fauna made here have been manifold thanks to the praiseworthy work of Nirmal, his team and other associates. 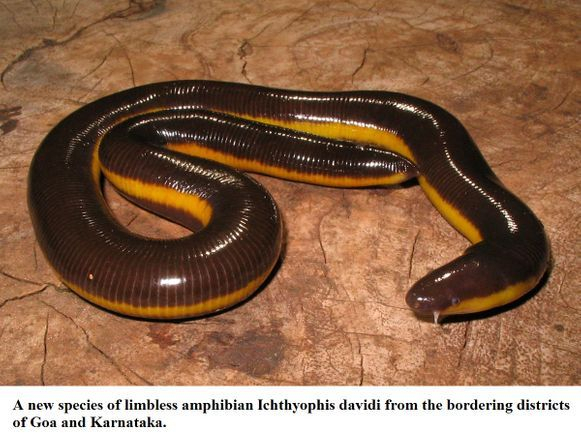 For example, the finding of three new species of Caecilians: the Goan Caecilian, the large yellow striped Caecilian and the Mhadei Caecilian have been a significant addition to ecological study. However, the rich forest region has yet much to divulge in terms of its ecological secrets. One of the projects undertaken by the Mhadei Research Center is the Millipede Project that researches species of millipedes, which are essential to the sustenance of deciduous forests, particularly in the Mhadei Wildlife Sanctuary. The Bat Project focuses on the flying mammal with its intrinsic value to the ecosystem as pest controller, seed dispenser and pollinator. The Bhimgad Wildlife Sanctuary is the focal area for this study aiming at creating a database of information on diverse species, identifying hotspots and spreading awareness of their ecological importance, among other aims. 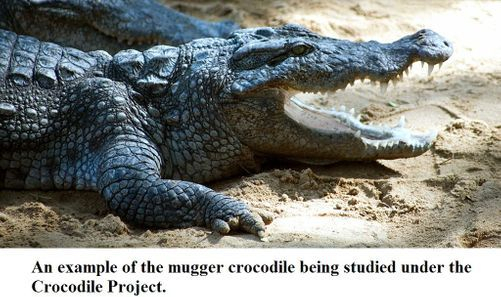 The Crocodile Project involves the mugger Goan crocodile – the identification of its habitat in the Ponda taluka, the study of its life cycle and the threats to its habitat, human-crocodile conflict, etc. 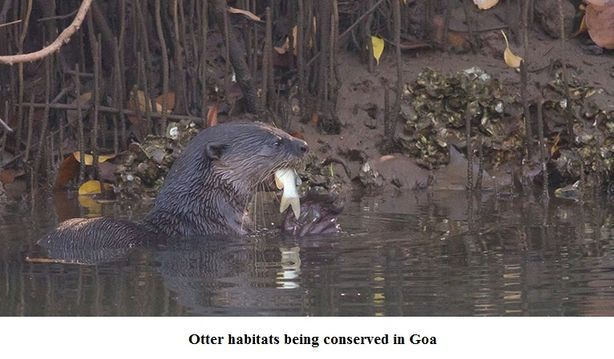 The project related to conserving otter habitat in Goa is a critical one. It is being carried out in conjunction with Atul Sinai Borkar. Otters are bio-indicators ie they are natural indicators of river ecosystems. For some time, the populations of the small-clawed otter and smooth-coated otter found in Goa have been declining due to activities such as mining, dynamite fishing, poaching, hydro-electric projects, etc. The objective is to contribute to data collection that will aid the conservation of these animals. 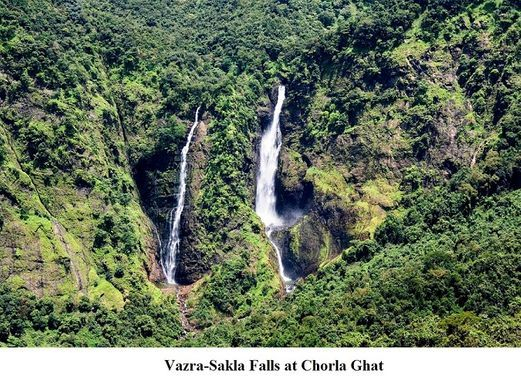 The plateaus of the Chorla Ghat in Goa have been found to be abounding with flora and fauna through the surveys and mapping done by the Mhadei Resaerch Center. The gaur (Indian bison), the sloth bear, the black-naped hare, the Indian porcupine, and the leopard have been found here, besides different species of rodents, amphibians, reptiles, flowering plants, and microflora (microscopic algae and fungi, and bacteria). Research to develop a quick guide to recognise smaller mammals of Goa is underway conducted by the Center. The Flipbook of Lesser Mammals will contain basic information like Latin names, local names, size and weight, conservation status, etc. The Mhadei Research Center conducts training and workshops that include talks on natural history, teaching of techniques to identify micro fauna and the use of field equipment, on site photography of the biodiversity of the Western Ghats, and so on. It has seminars and training programmes for other NGOs, institutes and research organisations at the regional, national and international level. The Center has been a bridge between academics and the local communities while renewing the awareness of the natives of the agro biodiversity with which they have been blessed and advocating sustainable alternative livelihoods for farmer communities, women’s self-help groups, honey collectors groups, and artisans in the bio-region. Aside from the formation of young naturalists, the Center has undertaken to supply books for libraries, computers, sports equipment, LCD projectors, etc to schools and community centres. Awareness on topics such as the problem of plastic, climate change and poaching is being spread among the villages the Mhadei bio-region using lectures, wildlife films, presentations, nature games, and so on. To help support the conservation work done by the Mhadei Research Center, you can volunteer, participate in the research, or contribute to the Center’s nature conservation fund. *All photographs are from the Mhadei Research Center website.